The Honey vape cartridges did prove that their oil is clean from pesticides but also that the THC content is lower than what they advertise. Although each Honey vape cartridge has the percentages of their THC content labeled, there has been lab test that has proved these numbers inaccurate. A lab test for a Honey vape cartridge was done by instagram user @datdude41510. The analysis revealed that the THC is below 75%. 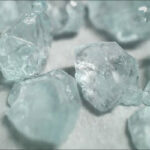 It’s good to take these lab test results with a grain of salt because they can be off by up to 20%, this was proven done by a study from High Times. Honey Vape also made the change to CCELL cartridges. People welcome this change. They currently have a 4.3/5 rating from 231 reviews on their Weedmaps page. Honey vape is quite popular with 20,000 followers on their IG account. Cobra Extracts releases Their new distillate oil cartridges on the left, much better than their old CO2 cartridges on the right. 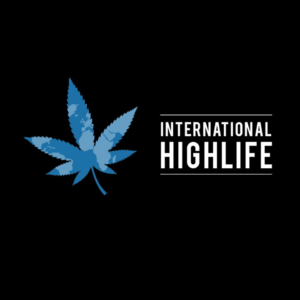 This brand has a clean distillate oil with THC content up to 93%. The CCELL vape cartridges provide you hits with zero draw resistance. Take huge hits with little effort and quickly become high within seconds. They have rebranded a popular flip vape pen battery which works excellent with their cartridges. There are three temperature mods; the highest one is perfect for puffing huge vape clouds. 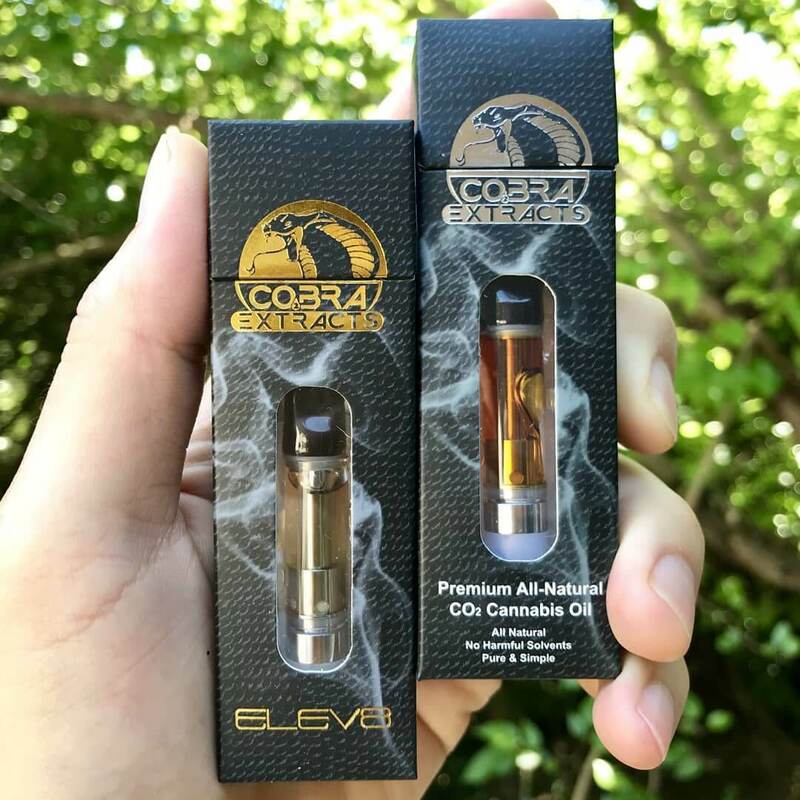 Now do not get these distillate oil cartridges from Cobra Extracts confused with their CO2 oil. I can’t recommend Cobra Extracts CO2 cartridges because they’re THC content is low. They are also just not as tasty as their new distillate oil cartridges. These essential changes done by Cobra Extracts allowed them to get the attention they deserve. Although a cannabis cup winner, their following on social media could be bigger. Cobra Extracts currently has only 15,000 followers on their Instagram. New Rove vape cartridge is the second best THC cartridge in 2019. Those familiar with Rove cartridges are aware of their super thick hash oil with outstanding taste. The number one problem that was holding this brand back was the poor performance of their vape cartridge. Luckily they improved this matter with the release of their newest cartridges. Before, Rove cartridges could not adequately vape its thick cannabis oil. Users would have to preheat the CO2 oil until it was ready to vape. Rove cartridges are now using CCELL to vape their CO2 oil efficiently. The CO2 oil is the best tasting on the market at the moment. 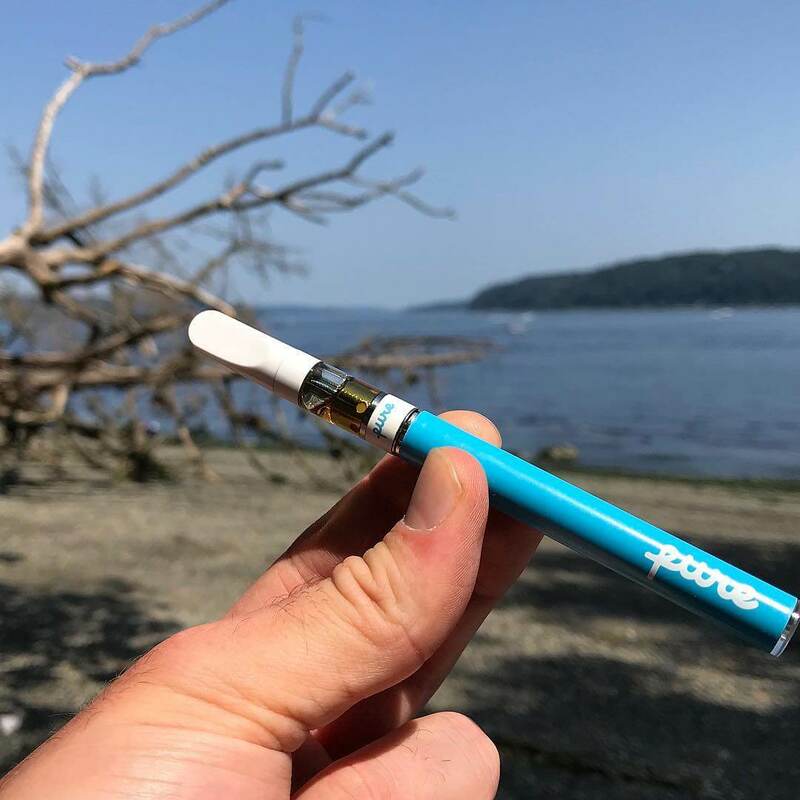 Many of the best vape cartridges contain distillate oil, but Rove proves it can stick to its CO2 cannabis oil and still be successful. Anyone who vapes Rove will instantly become a fan. There are still a lot of Rove’s original vape cartridges for sale. However, I highly recommend buying their new cartridge instead. The Rove brand currently has a following of 32,000 people on their Instagram channel. Pure vape oil is known for its clean and extremely potent THC oil. Lab test results are available on all of the PURE vape cartridges and syringes. Their choices of distillate oils range up to 86% THC and the prices are affordable. This THC oil will last a while because of how potent it is. 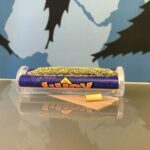 People seem to love the potency and overall quality of this brand and a 4.8/5 score from almost 400 reviews on their Weedmaps page shows that. This premium distillate has some pleasant tasting vapor that gets you high instantly. A gram of distillate oil costs $60.00. Pure Vape also sell its hash oil at a lower price if you purchase it in a syringe. A full gram of PURE vape distillate oil sells for $46 if you buy it inside of a syringe instead of a vape cartridge. It’s important to note that they may sell vape cartridges in 500mg cartridges. However, the fine print states there is only 380mg of THC inside. This means these cartridges are purposely not properly filled. I recommend buying an empty vape cartridge and refilling it with PURE one syringes to get the most bang for your buck. 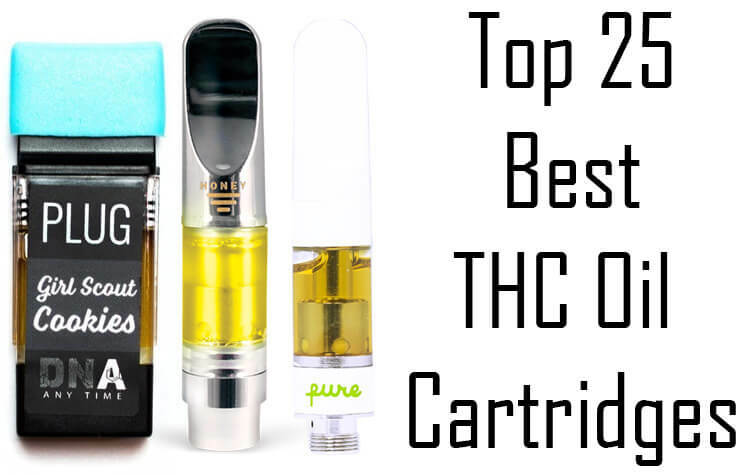 While PURE cartridges may be a great product because of their high-quality hash oil, the high price and the small quantity of distillate oil prevented this brand from taking the number one spot. The flavors from PURE one can also be a hit or miss. I enjoyed their Strawberry Cough, Lemon Haze, and OG Kush. However, I wasn’t a fan of their Purple Punch and Tangie. The potency from PURE one is the main reason why I can recommend them, their flavors are only great in their syringes from my experience. As said before, I recommend that you buy their THC oil in a syringe and refilling your own empty CCELL cartridges. PURE syringe sells for on average $46 a gram. This THC oil is very strong! I am able to buy two grams of PURE for 80 in the Bay Area. This is not the price that I get all the time but only once in a while. Sometimes these PURE vape THC syringes can be sold out because of how the demand seems to be so high at the moment. Refilling your empty vape cartridge with PURE one cannabis oil will save you a lot of cheddar. Refilling cartridges with distillate oil is becoming the latest trend because we all like to get the best deal for the money we spend. 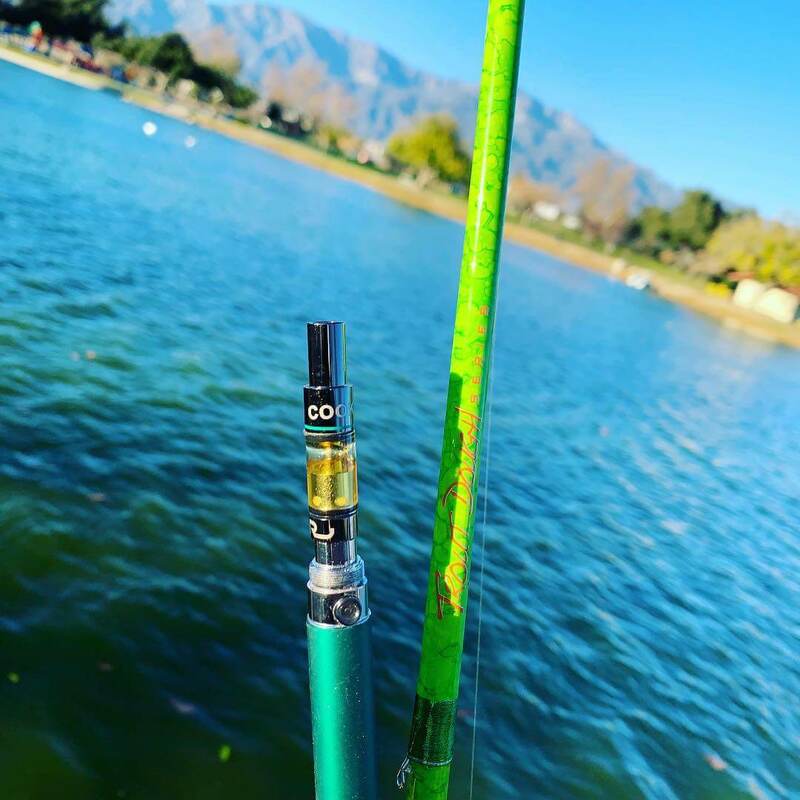 The number one favorite for 2019 is a pod vape cartridge that has a clean and powerful cannabis oil. The winner is the Los Angeles company known as Plug Play vape. An independent resource has tested them. The Instagram user, datdude41510, is known for exposing prefilled vape cartridges for having dirty THC oil. The THC content was proven to be accurate, and there were no pesticides found. The hits from Plug Play THC oil are mighty. The distillate oil and terpenes ratio are some of the best combinations with Strawberry champagne being my favorite. This brand produces some of the best tasting distillate oil. The Plug Play pod is similar to a CCELL cartridge but provides a bit more of a kick. The Plug Play vape pen is simple to use and doesn’t have any temperature setting. The pod will magnetically snap itself onto the Plug play battery. This brand only has barely under 5,000 followers on their Instagram. 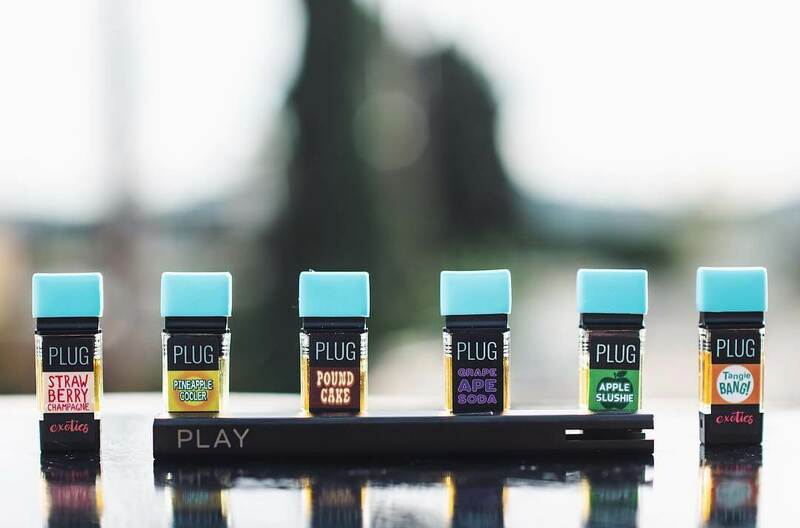 This pod system from Plug Play uses ceramic to adequately vape its THC oil content. Plug Play pods can also be refilled with distillate oil. I successfully refilled a pod with PURE distillate oil. After trying to refill it for a second time, the hits were not as good. Those looking for a dab pen cartridge won’t need one anymore after finding Plug Play pods. It’s more convenient to carry around a pod than it is a mod with an atomizer and wax. The whole point of a dab is to achieve an intense high and Plug Play delivers that with ease. Check out our full Plug Play vape review for more information. The majority of the best-prefilled cartridge companies who used to primarily use CO2 made the switch to distillate. If you’re happy enough to live in a State with legal cannabis you are now spoiled with so many different options when it comes to cartrdiges. 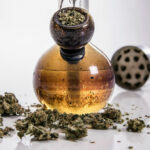 The best vape cartridges in 2019 may change with the release of new products and we will make sure to update this article throughout the year. Nowadays anyone has access to nice packaging for their cannabis and THC oil vape cartridges. Do not be fooled by a nice looking packaging that claims a prefilled vape cartridge is free from pesticides. There has been an epidemic of cartridges failing lab test for pesticides and other harmful toxins. 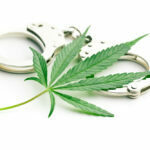 Protect yourself and only buy products from licensed dispensaries. We would be super interested to hear your feedback about this list. Did we miss any good brands? Let us know in the comments!